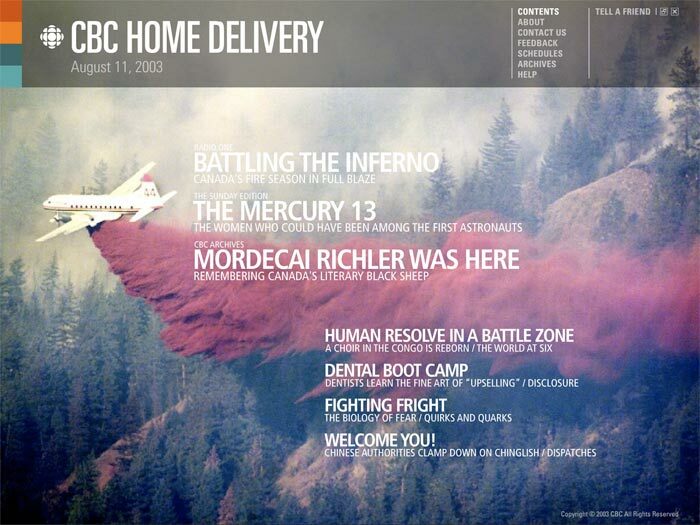 Haig Armen was a key member of a small team asked to develop a broadband pilot project for the Canadian Broadcasting Corporation (CBC). 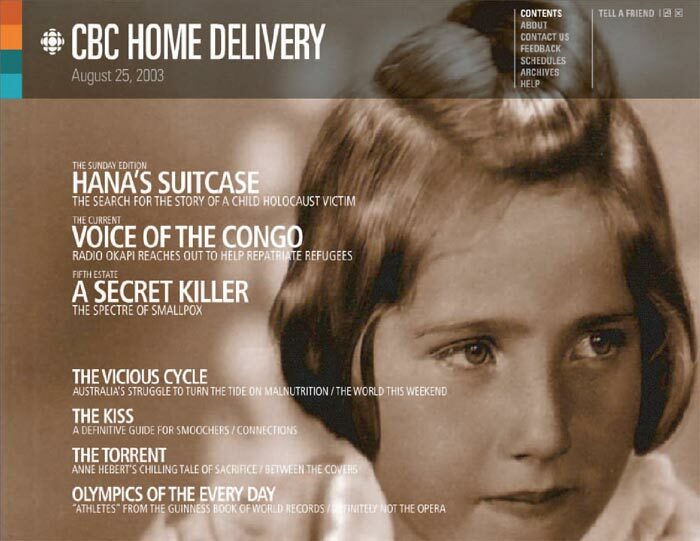 The primary aim of the Home Delivery project was to deliver CBC’s rich media content to people in their homes without them having to go to much effort. 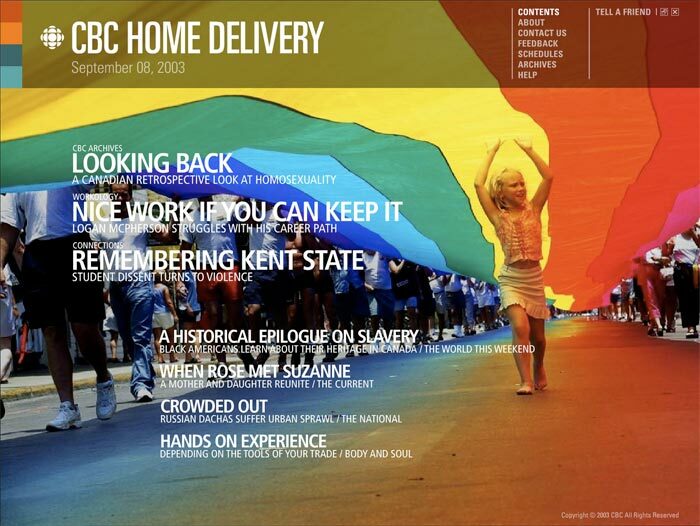 In 2003 Home Delivery was launched, the full-screen multimedia magazine loaded in the background when a user’s computer was online and had unused bandwidth. 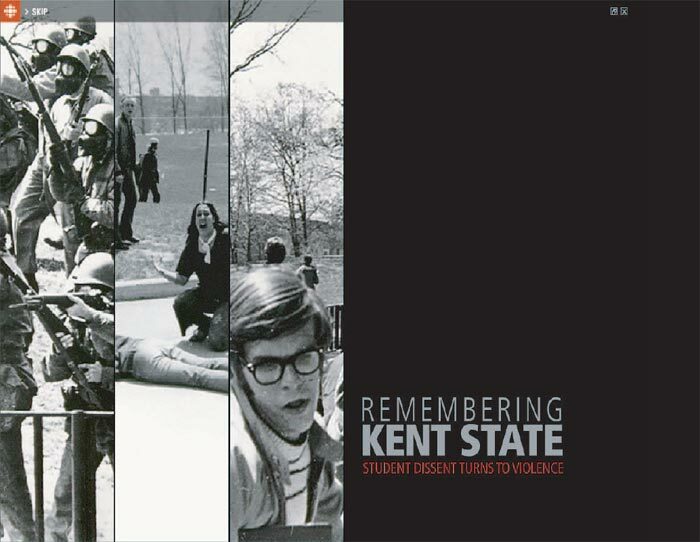 In the first three months the pilot attracted 50,000 subscribers and the project won awards from Macromedia (now Adobe) that described it as “part TV, part radio, part magazine photo essay, with just the right amount of interactivity. The result is great storytelling”.